broccoli is a standby in our kitchen. when my son was toddler, it is probably the only vegetable that i didn’t have to doctor up in order for him to eat it. he loved a simple squirt of lemon and he would eat it all. yes, perhaps that is the easiest and simplest way to make it, but i do like to have variety considering he is older and eats just about anything. 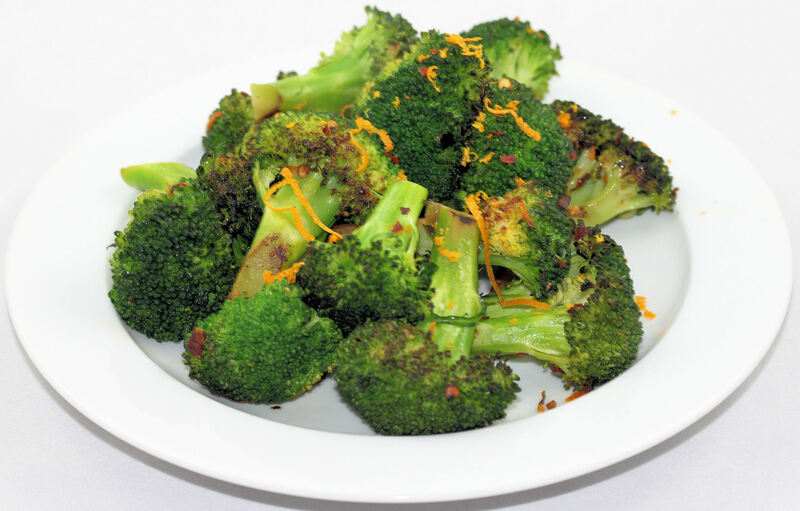 this is a simple sautéed broccoli that still has a touch of citrus and with a bit of heat from the red chili flakes. the chili flakes are optional. the health benefits of broccoli are great as it offers a high amount of vitamin c, folic acid, and potassium. it is a healthy and super easy side dish to go with just about any meal. in a large, heavy skillet, heat the oil over medium heat. add minced garlic clove and red pepper and saute for 1 minute. add the broccoli and orange zest, and cook, stirring occasionally, for 5 minutes or until tender. season with the salt. 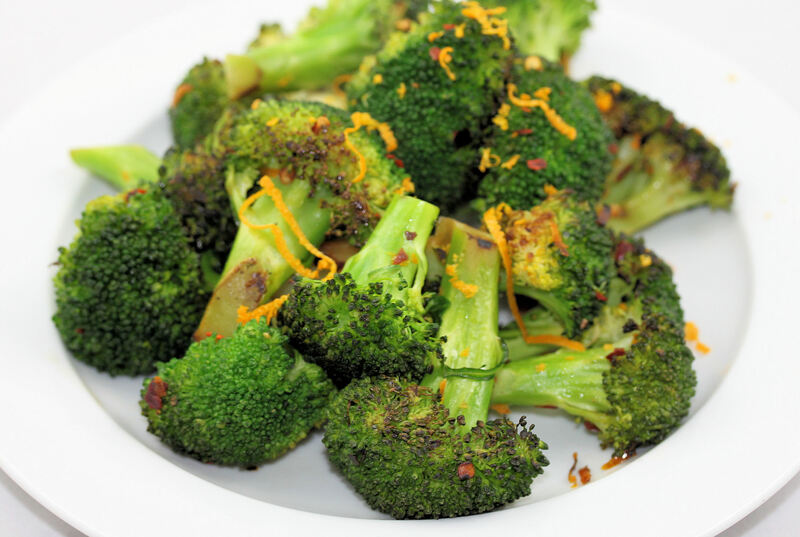 remove the broccoli from the heat when the broccoli has become tender, bright green, but, with browned by the heat. place in a serving dish and drizzle with the lemon juice. season with a dash of kosher salt and freshly ground pepper. serve immediately. This entry was posted in healthy options, side dishes, vegetarian and tagged broccoli, broccoli recipes, sauteed broccoli, side dishes. Bookmark the permalink. Oh man I can’t wait to try this. It looks delicious!